Out of Finland and coming to you! 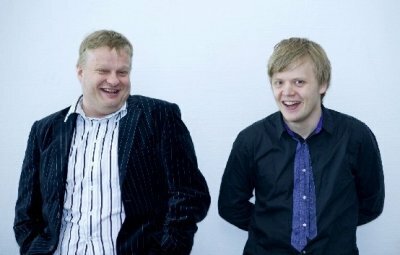 The Classical violin and Jazz piano Duo of our decade: Pekka Kuusisto and Iiro Rantala. Meet these two internationally renowned virtuosi and let them with their cunning charm and cheek put the Tango fire in your heart! Pekka and Iiro have individually toured Australia many times – Pekka with the Symphony Orchestras – Iiro with Trio Töykeät and solo - rank among the highest rated musicians in musical Finland and indeed the world, and they do so because of two reasons: They are both top-notch instrumentalists but are not afraid to constantly seek new grounds for expression. Their duo collaboration submerges into the world of Tango by means familiar from the hay days of jazz. "....romantic-classical strivings in which his famed, composing country man Sibelius was so good, and with that shakes his head above the keys as a keyboard lion of the Horowitz type...."
"...His playing to put it mildly is virtuoso. One must perhaps go all the way back to Franz Liszt to find the same kind of virtuosity. At least there is lots of romanticism in Rantala." 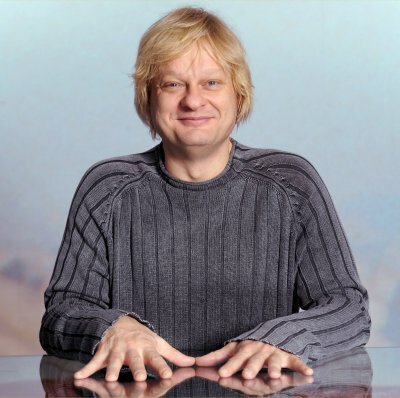 "Pianist Iiro Rantala is a real keyboard lion. That he sees the grand piano particularly also as a toy, appears in the many jokes in compositions lie 'Another Ragtime, 'Unfinnish Tango' and 'Hömppa Humppa'"
"Iiro Rantala is a pianistic sensation who makes the strongest case I know to believe in reincarnation because his pianistic technique and musical sensitivity speak of depths which appear impossible to have been achieved in this lifetime alone...."
Gil Goldstein, pianist and arranger, New York City. After touring the world for 18 years with Trio Töykeät, Finnish jazz piano virtuoso Iiro Rantala is refreshingly still at the forefront of international pianism. The energetic keyboard lion crosses musical genres and styles with ease and excitement, playing at his exhilarating and adventurous best. Definitely entertaining, zany,unconventional and occasionally wicked, yet always uncompromising. Iiro Rantala is among the most internationally visible Finnish jazz musicians, and is second to none when it comes to unsurpassable keyboard technique and flaring showmanship. The pianist first became infected by music in the children's choir Cantores Minores at the age of seven and soon afterwards was already taking piano lessons. 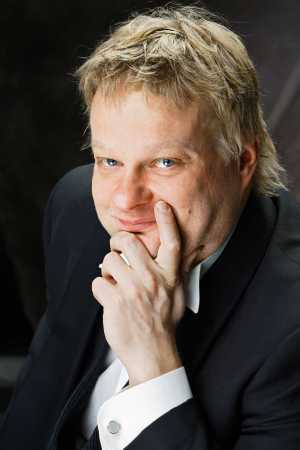 Iiro Rantala is best known as the founder and pianist of Trio Töykeät, Finland's most famous jazz group, which became one of the biggest success stories in Finnish jazz. Töykeät gave over 2,500 performances in 60 countries between 1988 and 2006, and released 8 albums - a formidable achievement. The development of Iiro Rantala as a creative pianistic improvisor has been one of the most astonishing phenomena in the Finnish music world, and he has been the winner of all major jazz awards in Finland during his 22 year career. Youn Sun Nah is Korea's rising vocal star - a most formidable, versatile and higly celebrated vocalist with a wide ranging and original repertoire. She has just recorded (for April '09 international release on the German ACT label) her beautiful new album called 'Voyage', together with Swedish guitarist Ulf Wakenius and other brilliant Nordic musicians. : As the jazz world welcomes more female singers, Youn Sun Nah continues to stand out from the rest. With the support of a talented group of musicians, she has succeeded in making her mark on the jazz scene, despite being outside the typical promotional circuit. Who is she and how does she define her music? She likes to say that her group’s music is a manifestation of the best in jazz - free, without borders, constantly evolving - and drawing inspiration from French chanson, pop, and contemporary music. Youn Sun Nah is a remarkable and most enchanting jazz vocalist from Korea but with a French connection and cabaret-chanson style vocals, who since the mid nineties has made a most significant mark on the French/European and Korean/Asian jazz scene. "When I first heard the Trio Toykeat play I was totally bowled over...knocked out. I immediately recommended them for work...and also started hiring them... then they started hiring me! Iiro Rantala is one of the best musicians I have ever known. A RARE talent!" Virtuoso Finnish pianist/composer Iiro Rantala returns to Australia for the 8th time in January'08 and now with his IIRO RANTALA NEW TRIO to the Sydney Festival - with rising guitar star MARZI NYMAN and extaordinary beatboxer FELIX ZENGER. IIRO is best known as the founder and pianist of Trio Töykeät, Finland's internationally best known jazz ensemble, which has given over 2,500 performances in nearly 60 countries, recorded for Blue Note, and visiting Australia on six occasions. Now with fast new rhythms, startingly original music and distinctive musical voices, the IIRO RANTALA NEW TRIO is jazz at its exhilarating and adventurous best: definitely entertaining, zany, witty, beautiful, technically brilliant, unconventional, occasionally wicked, but always uncompromising. 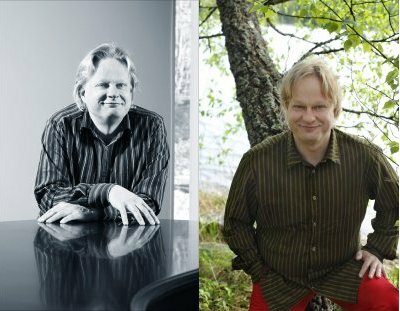 Iiro Rantala is a piano sensation, who confidently and zanily crosses all musical boundaries, and has performed in small and large ensembles, solo and with symphony orchestras, and early in 2006 released his very own piano concerto with the Tapiola Sinfonietta. His extensive discography includes the eight discs of Trio Töykeät (G'Day, Jazzlantis, Sisu, Kudos, Music!, High Standards, Wake and One Night in Tampere Live). Virtuoso 36 year old Finnish pianist/composer Iiro Rantala returns to Australia for the seventh time with performances of both classical (Bach) and a jazz trio concerts at the Perth Festival and in Melbourne. Iiro is best known as the founder and pianist of Trio Töykeät, Finland's internationally most famous jazz ensemble which has given over 2,500 performances in 50 different countries, recorded for Blue Note, and visited Australia on six occasions. Rantala is a piano sensation, who confidently and zanily crosses all musical genres, while exploring the boundaries between these genres. He has appeared with symphony orchestras, and early in 2006 he released his very own piano concerto with the Tapiola Sinfonietta. His extensive discography includes the seven discs of Trio Töykeät (G'Day, Jazzlantis, Sisu, Kudos, High Standards, Music! and Wake). In Melbourne Rantala will collaborate with Melbourne bassist Ben Robertson and drummer Dave Beck. Perth performances presented by the Perth International Arts Festival. Melbourne performance presented in association with Martin Jackson and the Melbourne Jazz Co-op.